The famed Cherry Blossoms in Washington, DC are located around the Tidal Basin, in West Potomac Park, in East Potomac Park (Hains Point), and on the grounds of the Washington Monument. Each spring, the city celebrates the arrival of spring with the National Cherry Blossom Festival, a two-week event that highlights the blooming trees. This map shows the location of the 3,000 cherry trees that were a gift to the city from Japan. The pink line indicates where the cherry trees are planted. The most popular (and the most crowded) areas to view the trees are along the Tidal Basin from the docks of the Tidal Basin Paddle Boats extending to the Jefferson Memorial. You can walk completely around the Basin to view the trees. As you can see on this map, cherry trees are also planted along East Potomac Park. This area is not as well maintained as the Tidal Basin but offers a less crowded option to see some of the blossoming trees. There are a variety of types of trees. 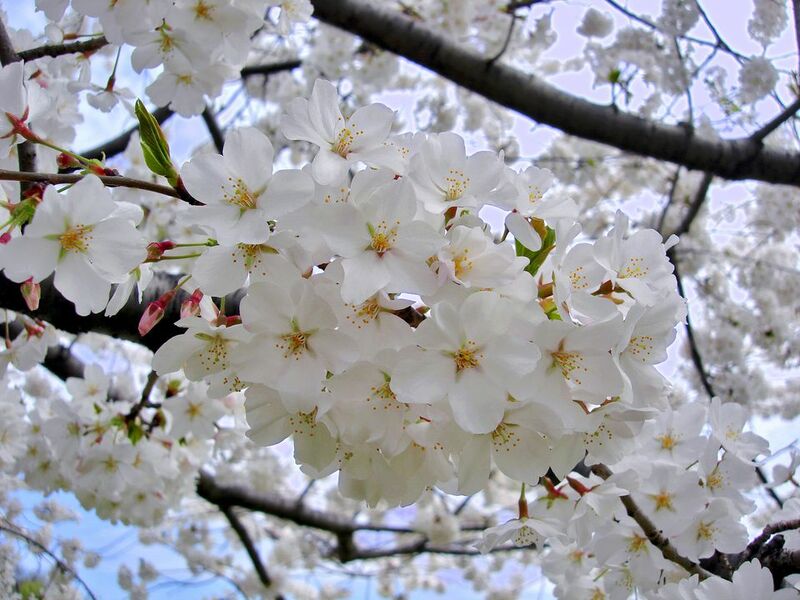 For more details, read "Everything to Know About Washington DC Cherry Trees." Some cherry trees are also located in some quieter places around the region. For details, see a guide to cherry blossoms off the beaten path around DC. Note: The best way to get to the cherry blossoms is on foot. The Tidal Basin is about a 10-minute walk from the Smithsonian Metro Station. Parking is very limited in this part of Washington, DC (the major parking garages are shown on the map by the blue "P" icons) and depending on the time of day, day of the week, and events going on you may be better off taking public transportation. There are 320 FREE parking spaces at East Potomac Park. See information about parking near the National Mall. 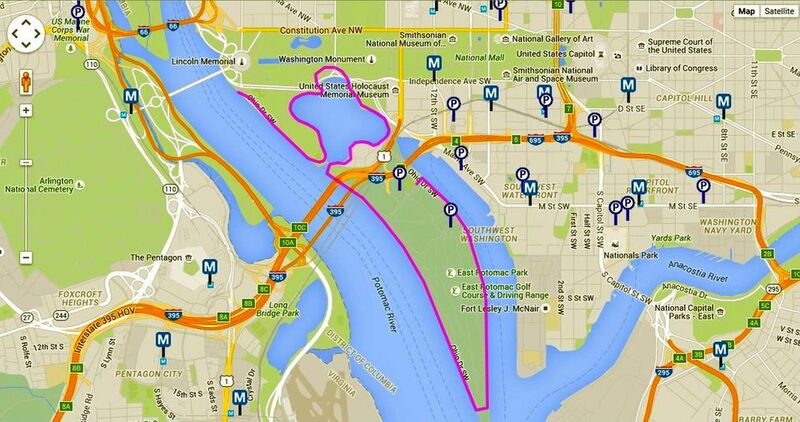 This map shows the Tidal Basin and the monuments and memorials that surround it: the Jefferson Memorial, the George Mason Memorial, the FDR Memorial, and the Martin Luther King Memorial. These sites are popular attractions to visit during the ​National Cherry Blossom Festival and are especially beautiful during the spring season. Be sure to enjoy the views and take some photos with family and friends to make some special memories.